Need a top cash for junk car? Never hesitate the give a call to Wreck Monster team @ 0401 333 393 or contact us using a form named “Get a free quote now”. When your old car turns into a useless piece of junk, regardless of the reason it ended up this way, it may seem like an eyesore. Or even worse, a messy pile of scrap metal, destroying the aesthetic value of your premises. And some people might think of dumping their clunker as trash in a landfill somewhere. Although it makes sense to think that your permanently broken down vehicle is worthless, you can be rest assured that this is far from the case. We can extract any car body parts that are still in working condition and resell them. What better reason for us to be so happy to pay good money for these vehicles. How Wreck Monster can help with your Junk Car? In fact, the team here at Wreck Monster take a great deal of pride in buying junk vehicles. And we always make sure that we pay only the fairest and generous of prices. We are a professional auto wrecking team with decades of experience. When you choose to sell your automobile to us, you will enjoy a service that includes super quick and convenient auto removal. Our experienced auto removal technicians work around the clock. Furthermore, our friendly customer care representatives are always there to help you. They are always keen on providing the necessary information about their services, and will answer any and all queries that any of our customers may have. At Wreck Monster, we offer top cash for car quotes for all types of scrap vehicle, including cars, trucks, SUVs, Utes, 4WDs and vans. We usually take into consideration the weight of the scrap steel, and the number of re-usable parts and components in the automobile. The amount of cash we pay for cars can go up to $10K. Trucks get even more. We pay up to $15K based on the year and the condition of larger commercial automobiles. Our experienced auto appraisers will offer instant and accurate cash assessments within minutes. We are confident that we pay more than anyone else in town. However, if the impossible occurs, and you get a better offer from one of our competitors, please tell us so that we can match it as best as we can! We have heard many a horror story from customers who sold their junk car to a competitor who required that they hire a tow truck before the company would buy the vehicle in question. This ultimately meant that they ended up with less money at the end of the day. Here at Wreck Monster we believe that the customer deserves better. And that is why we make sure we provide them with better. When you sell us your junk car, we won’t make you pay. We won’t hide the cost by removing your car and paying you less in order to make up for the cost. Instead, we will come to your place, and perform the physical inspection of your vehicle. After paying you top cash, we will use our removal equipment to haul your vehicle back to our place of business. You get every last penny that is coming to you! This is how we ensure that our customers get top cash for their car, guaranteed. When our professional crew removes your vehicle, we transport it back to our salvage yard. That is where we will go about recycling each and every last part of the automobile in question. We do this using practices that are proven to be best for the environment. Any and all toxic substances within your car that pose a risk of harm to the local habitat are either recycled or disposed of correctly. None of them will make their way into the environment and wreak havoc. When we recycle vehicles, we are helping the environment in other ways as well. By putting the materials back into use, we are making sure that the demand for fresh materials, such as steel, to be mined, is reduced. And this in turn reduces the need for mining, which is a very environmentally damaging practice. Hopefully if enough people have their cars recycled we can make sure that mining activities are significantly reduced. Once, many years ago, before we came onto the scene, when you wanted to sell a junk car you needed to find the right company who bought your particular make. This made the process of selling junk vehicles just a little bit harder than it needed to be. Isuzu, Mazda, Subaru, Honda, Audi, Volkswagen, Peugeot, BMW, Chevrolet, Holden, Mercedes Benz, Suzuki, Hyundai, Chrysler, Jeep, Daewoo, Renault, Fiat, Kia, Suzuki, Mitsubishi, Toyota, Nissan, and any other car manufacturing brand that you can think of! 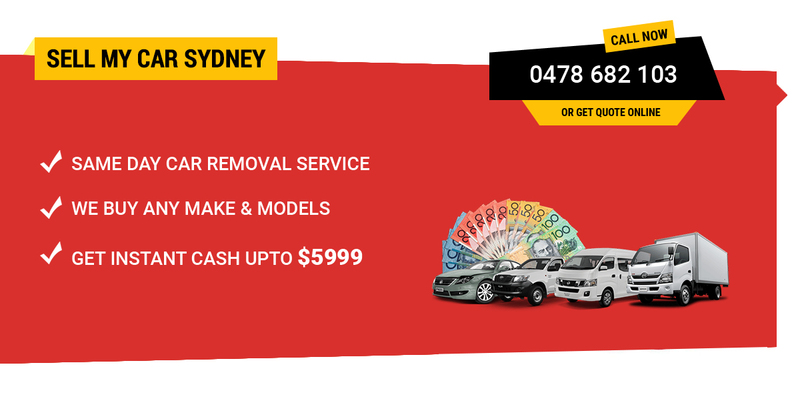 Here at WreckMonster we are proud to be the go-to cash for cars-company for all the people of Sydney. It doesn’t matter what the condition your vehicle may in is, we are junk car buyers so we will buy your vehicle regardless. It could be a complete wreck as the result of a terrible road accident, or the transmission may have just blown and the rest of the car is in perfect order. We will accept it and offer the best possible cash anyway! Free Junk car valuation online! What’s next? Book a free car removal in Sydney now. The skilled appraisers at Wreck Monster provide accurate valuations for different types of automobiles. We offer quick cash quotes through our number: 0478 682 103 or online inquiry form that is given on the right side of this page.